Two-time Heisman Trophy winner Archie Griffin headlines MC's annual sports dinner on the Clinton campus November 6. Two-time Heisman Trophy winner Archie Griffin will serve as the keynote speaker at the annual Mississippi College Dr. Don Phillips Athletics Dinner. The Ohio State University football legend headlines an annual event that’s raised more than $2 million to boost MC sports. That includes over $160,000 generated last year. Funds help Choctaws teams compete in the Gulf South Conference and NCAA Division II. The dinner is set for November 6 on the Clinton campus. The program begins 6:30 p.m. that Tuesday evening in Anderson Hall. President Blake Thompson is delighted to welcome Griffin to the year’s biggest program for MC athletics. 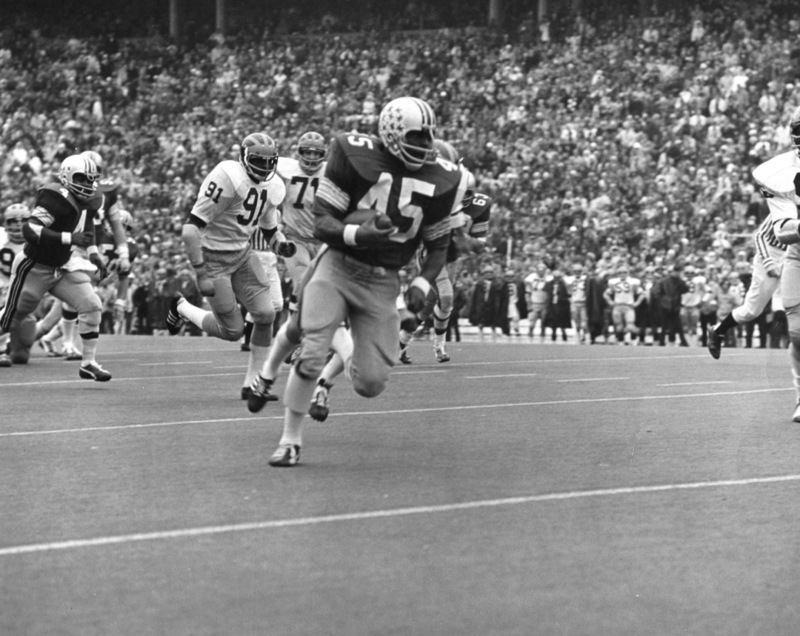 “Two-time Heisman Trophy winner Archie Griffin remains one of the icons of the college football world and is beloved among Ohio State Buckeyes everywhere,” Thompson said. After 11 years as president and CEO of the OSU Alumni Association, Griffin stepped back in 2015 to a consultant role as senior advisor in the university’s Office of Advancement. He led an expanded effort to embrace young alumni at the 66,000-student institution. The Columbus native began initiatives focusing on career assistance and establishing an Office of Volunteer Relations. A three-time All-American during his playing days as a Buckeye from 1972-75, Griffin was a first-round draft choice of the Cincinnati Bengals. The 1976 Ohio State grad served as the NFL team’s co-captain and played seven seasons. In demand as a motivational speaker nationwide, Griffin will help MC strengthen support for athletic programs for years to come, Thompson added. MC is in its 5th year back in NCAA Division II and the Birmingham-based Gulf South Conference. Athletic Director Mike Jones said the sports banquet remains a key event on the Clinton campus from one year to the next. With Griffin headlining the event, “things can only continue to move forward,” he said. Past speakers at the Mississippi College dinners included Ole Miss baseball coach Mike Bianco, former Atlanta Braves star pitcher John Smoltz, former Ohio State and NBA hoops star Clark Kellogg along with MLB manager Buck Showalter. Others have included former Ole Miss Chancellor Robert Khayat and ex-NFL star Tim Brown. MC Director of Bands Craig Young is delighted the Christian university booked Archie Griffin. A member of the College Football Hall of Fame in Atlanta, Archie Griffin is the nation’s only two-time Heisman Trophy winner. He’s one of two players in NCAA history to start in four Rose Bowls. Archie and his wife, Bonita, lead a foundation to develop sports, educational and travel programs for youth. Griffin has three children and three grandchildren.